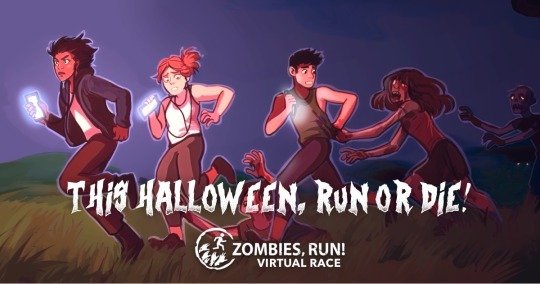 This Halloween: Run or Die! – Zombies, Run! This Halloween: Run or Die! It’s our scariest, most exciting race yet – and it starts from just $30! All entrants get a fantastic medal and our first ever embroidered iron-on cloth patch – perfect for every Runner 5’s kit! Plus our pro-spec shortsleeve and longsleeve race shirts are ideal for Halloween. Want to be a survivor or a zombie? You decide! Dead or alive, these shirts are engineered for extreme running comfort: they’re lightweight and breathable, with exceptional moisture wicking. 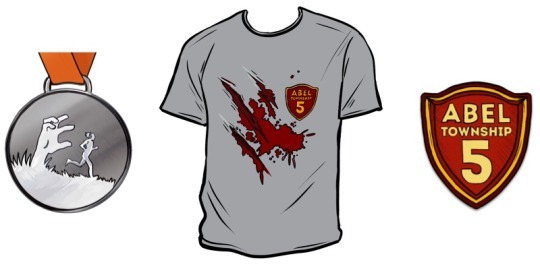 They come in both unisex and women’s fits – order fast before they run out! For the first time, we’re offering personalised shirts, along with standard tanktops and hoodies. We think you’ll love our new options! Create your own pack! Every entry includes our race medal and patch, and you can add on our entire range of race shirts, tanktops, and hoodies!